Back to Basics: What is Success? If I had a shilling for every time somebody told me that they want to be successful, well, I’d sure as hell be rich. But what exactly is success? This word seems to be thrown around willy-nilly, with no clarity on what it really means. So to define this phenomenon, I first checked the dictionary. According to the business dictionary, success is defined as the ‘achievement of an action within a specified period of time or within a specified parameter. Success can also mean completing an objective or reaching a goal.’ Okay, this is one way to look at it. Alternatively, success is ‘when people start searching for you on Google instead of Facebook’. Well, now we’re heading in the right direction. As you might already know, I look to TV shows for all some of my facts, so let’s get a definition from one of my favorite comedy’s. Okay, let’s get serious for a minute. From what we have seen so far, success is not just one thing. So what is it? That is what we are going to explore below, so that we can finally get to the bottom of this mystery. As you probably know, success is almost always talked about in relation to wealth. We live in a materialistic world where the more you earn the more successful you are deemed. And this is not a rant against people who have worked hard for their money, it is simply a question about whether money, power, and fame are truly the best indicators of success. Here is the thing; depression is more common in wealthier countries then it is in less industrialized countries. CEOs are more prone to addiction than the general public. Affluent kids are more likely to be depressed and anxious than their middle and low-income counterparts. Wealth is certainly a factor to be considered when defining success. But with this in mind, can we really use wealth as the sole basis of defining success? The pursuit if wealth is a rat race, with a fat pot of gold waiting at the end. If this gold is your sole definition of success, regardless of the relationships and physical/emotional health you have sacrificed along the way, then that’s your personal choice. Below is a video with the late John Wooden. For all those unfamiliar with this brilliant basketball coach, John Wooden lead UCLA to 10 NCAA championships in a 12-year span, and held an unrivaled 7-year winning streak. In this video he talks about the difference between winning and succeeding. It is his belief that you can lose when you outscore an opponent, and that you can win when you are outscored in a game. The reasoning behind this is that the score is a byproduct, and not the end itself. According to John Wooden, the journey to success is much more important than attaining success. Enjoy. There are 6 pillars of success that you should consider when measuring your level of success. These include your physical health, your learning agility, your emotional health, the quality of your relationships, your spiritual health, and your material wealth. These 6 pillars encompass all the important areas of your life, and will therefore give you a clear picture of whether you can consider your life thus far as successful. When measuring your success, be sure not to compare yourself to others. Your journey to success should be your own, and not one where you spend all your time trying to be better than the next person. I recently listened to a TED talk by Richard St. John, where he talks about the mistake of looking at success as a one way street. He describes how we do everything we can to reach our definition of success, only to sit back and say that we’ve made it. At this point we stop doing all of the things that made us successful. It doesn’t take long to go back down hill once this happens. That is why success needs to be looked at as a continuous journey, in which we drive ourselves to keep on innovating and improving. By following the 8 principles below, Richard St. John believes that we can achieve and maintain success. So how about we take a look at other people’s definition of success? I have gathered my favorite definitions and listed them below. These definitions of success vary in nature, from contentment and happiness to ambition and accomplishment. Enjoy!! As you can see, there are numerous definitions of success, and neither one is better than the other. Success is a personal standard, and each of us should have a definition that suits our goals. I urge you to come up with your own definition of success, because if you lack your own definition you will be forced to chase another persons translation of this concept. This will make you miserable. So sit down today and think hard about what success means to you, and when you figure it out, start developing a success-conscious mindset. Once you do this, what can stand in your way? 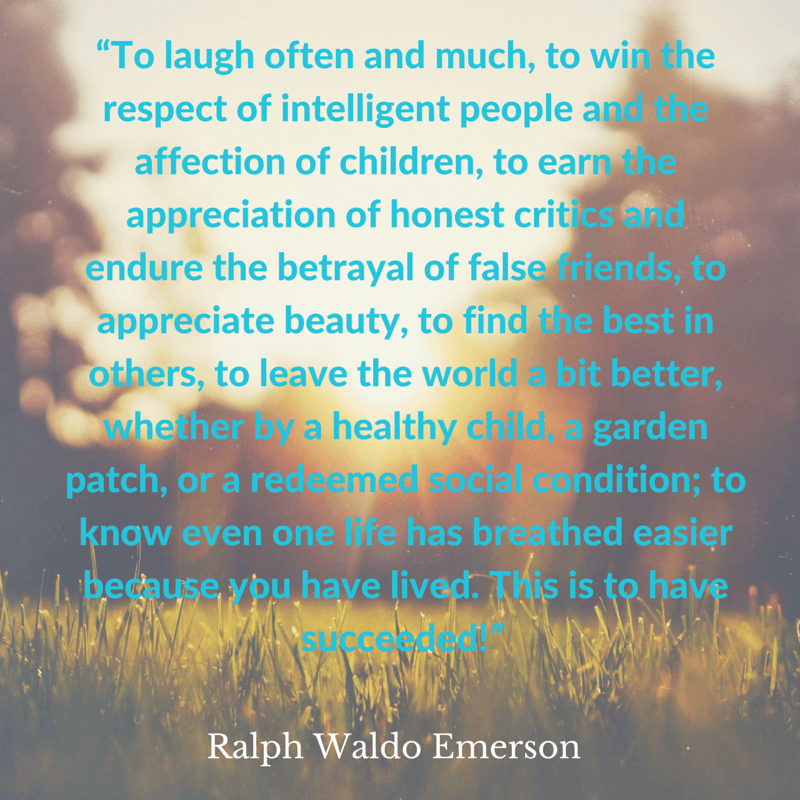 Leave a comment below on what success means to you, and share this with your friends to get the discussion going. Also remember to subscribe to the newsletter, so that you can be the first to know what is happening with Business Broken Down. Have a great day, I hope to see you next week. P.S. If you enjoyed this post, you will definitely enjoy my post on Desire and its place in business.